We’ve been focusing on maps a lot lately. Way back in about 2004, we worked with the Environmental committee and some realtors to create a large, foldable map with street addresses, lots, and information about how to live gently on the island. These, it turns out, are pretty expensive to reproduce. 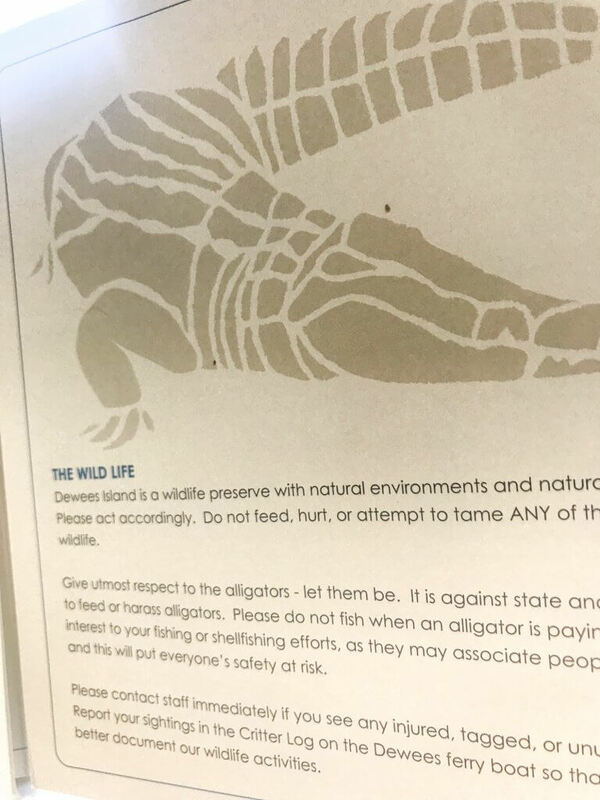 In addition, some of the information was out of date, and some of it was hard to read if you were actually looking at the map: the most important information about our conservation culture was hidden on the back. With the rules on the back of the map. But it was time for a bit of an overhaul, and we wanted a place where first time visitors could absorb some of our most important cultural guidelines while looking at the map. 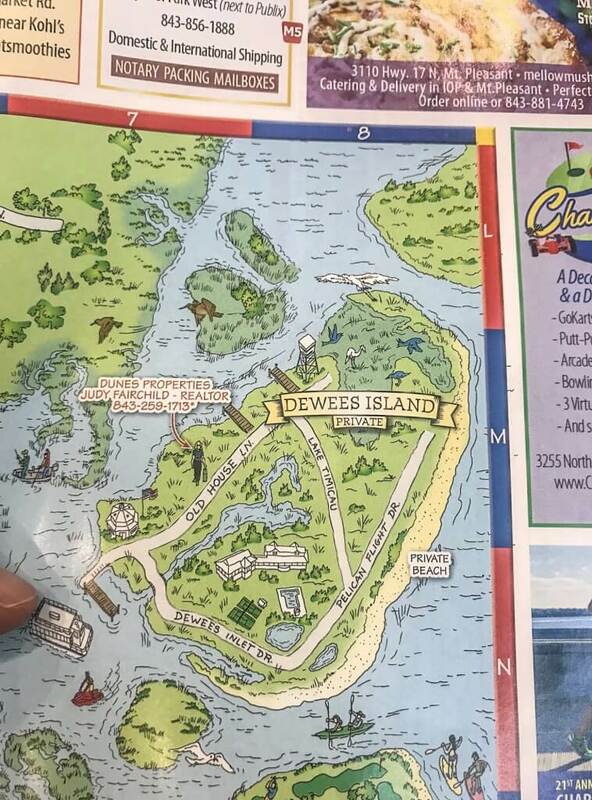 So HERE is a quick snapshot of the new map: you can get yours on the ferry or there will be multiples around for you to pick up at POA weekend. It’s a great way to give your guests a quick overview of the rules. In addition, this new map has all the street addresses on the back, as well as information about ferry priorities, calling for a return ride, and trash and recycling. It’s a collaborative effort between me and Reggie, the POA, and dunes properties/Charleston Coast Vacations. We’ll have it for you at POA weekend. (And that photo is of a DRAFT… if you’re quick you can spot a few errors. We’ll have the updated ones available for you this weekend. 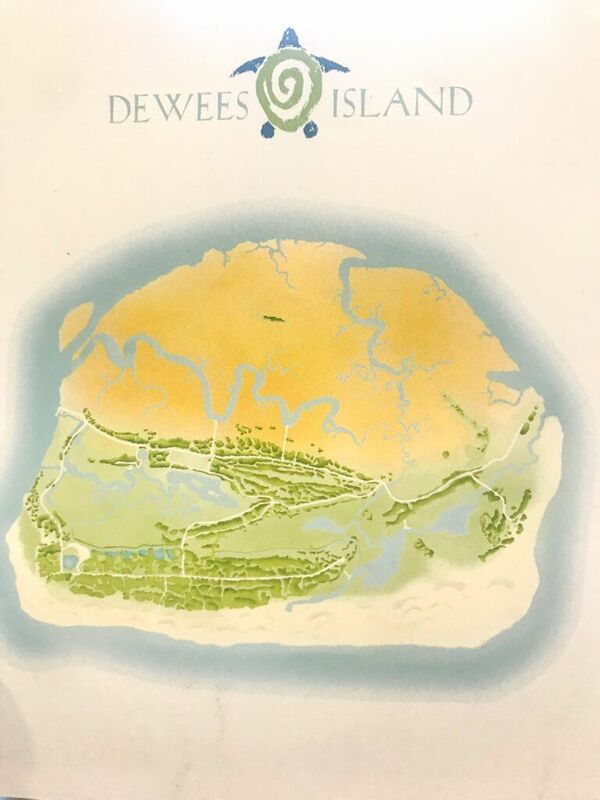 One of the things I started working on when I began marketing was the fact that Dewees didn’t seem to be featured on local maps. Over the last few years, we’ve been working hard to change that. 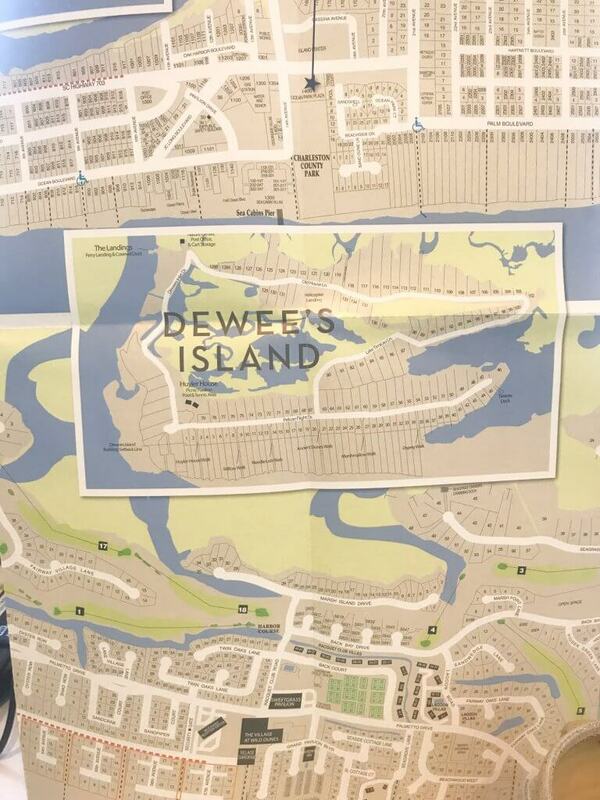 With the help of dunes properties, what used to be an ad on the previous map is now a map of Dewees. It has a tiny nature center, the Huyler House, The sub tower, the ferry and the streets. You’ll notice that it also says “private” so that people aren’t tempted to just hop on the ferry. And there’s a tiny realtor, which makes us laugh but could come in handy. We’ll have some of these around for pickup on POA weekend, or you can stop in at some local businesses to get a copy. Dunes has some at the office, and we grabbed these at the Refuge near the Harris Teeter. 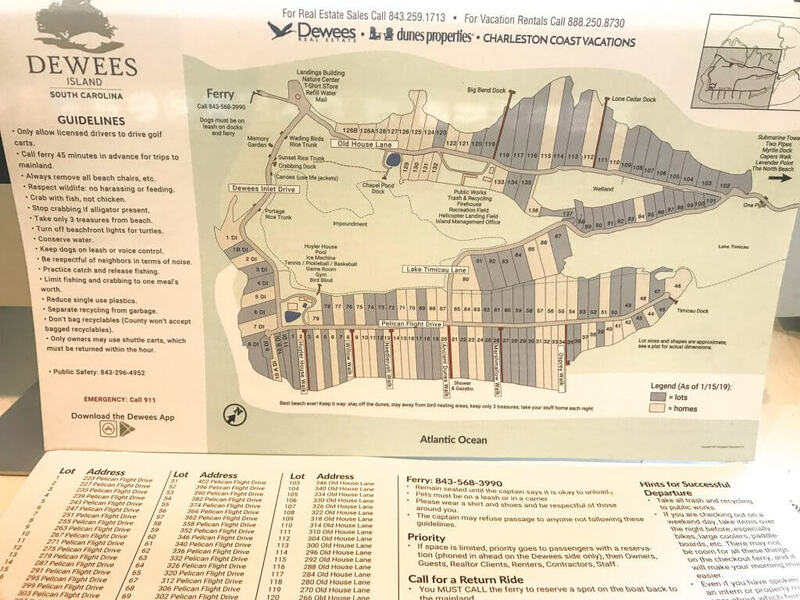 Dunes properties has a Mount Pleasant/Sullivans/IOP map in their offices which does show Dewees, so anyone looking at property from those offices is exposed to the awesomeness that is Dewees.